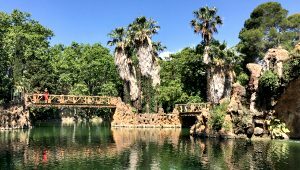 Parc Sama is a historic garden near Cambrils in Catalunya, Spain which retains much of the charm of its creation in 1881. The house here and the surrounding land was the summer residence of Salvador Sama and he wanted it to ignite the imagination and be a delight for the senses. 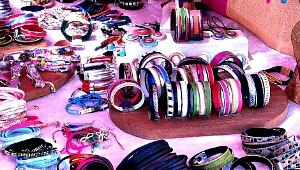 The Hippy Market is one of Ibiza’s most popular retail attractions and people come from all over the island to browse the stalls and soak up the atmosphere. It began in 1973 when hippies were first allowed to sell their handicrafts at this location in the grounds of the Hotel Club Punta Arabi. 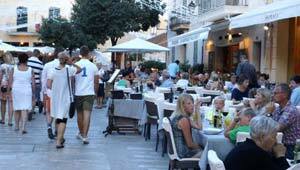 Alcudia Old Town is the beautiful historic centre of the Majorcan tourist resort of Alcudia. Although there are plenty of shops and restaurants here, it’s a world away from the busy modern shops of the nearby port. La Pedrera (also known as Casa Mila) is an apartment and office building in Barcelona that was designed by legendary Spanish architect Antoni Gaudi. 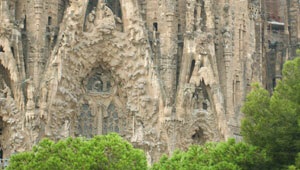 Many of his buildings in Barcelona have become tourist attractions, the most famous being the unfinished cathedral church La Sagrada Familia. This building though, shows how his architectural style can be also applied with great effect to something as simple as an office block with apartments. The Magic Fountain in Barcelona is a popular attraction when it “performs” and despite the crowds, we’d thoroughly recommend seeing it. It offer a music, light and water show all wrapped into one but only at certain times on certain nights. There is a big flight of steps which everyone sits on to get a better view, but you’ll need to be there early to get a decent spot. 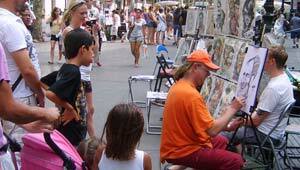 La Rambla is quite definitely Barcelona’s most famous street and has become a tourist attraction in its own right. 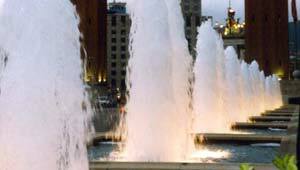 It’s a wide open pedestrianised walkway which runs through the centre of the city from the harbour to Placa Catalunya. The whole street is around 1.5km so it’s not too taxing to walk along it all. On the way, not only are there dozens of shops one either side of the street, but La Rambla is also packed with a combination of street artists, street entertainers, eateries, and stallholders. 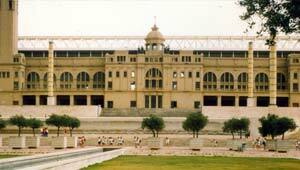 Barcelona’s Parc Montjuic was the location for the 1992 Olympic Games and all the facilities are still there to see. The biggest structure is the Olympic Stadium, but you can also see the Swimming Complex, the Olympic Spire structure and an array of landscaped walkways. We really enjoyed just walking around the area, replaying memories of the Olympics that year in our minds. It’s Gaudi’s grand church and despite being started in 1882, it still isn’t finished although much work has been done in recent years. 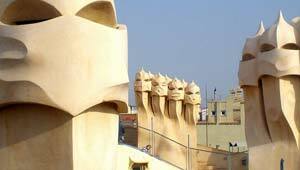 No trip to Barcelona would be complete without seeing this building’s crazy curves and mosaic topped towers. There is often a queue to get in, but it’s worth it. Inside, you’ll find another queue and charge for the lift up the towers and this is usually a long wait.